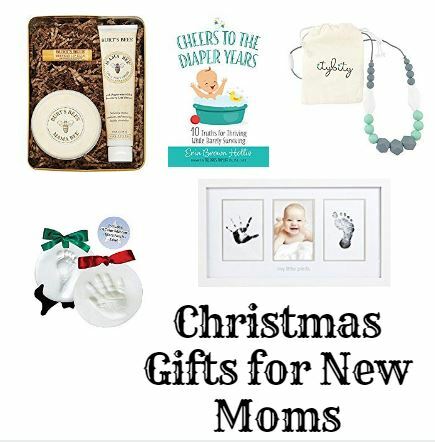 Gift Ideas for New & Expectant Moms | Under $10, $20 and $30 to keep you on budget! You likely have at least ONE new or expectant mom on your Christmas shopping list. No matter your budget, I have some ideas for you! Check out these different gift categories, each with gifts under $30, $20 and $10 for every budget! A modern take on a baby memory book and journal, As You Grow stands out from the crowd of baby books with its elegant, chic, and timeless design. The gender-neutral artwork with guided sections provide space for every family to record moments from pregnancy to age five. rely on God’s Word to guide your child to Christ. What were my thoughts on baby’s last 5 birthdays? Use Mom’s One Line A Day, 5-year journal format to provide a lasting snapshot of your thoughts, memories, and baby’s growth and progress on each of the 365 days of your baby’s year. With enough space to record a single thought, a memorable milestone, or a special event each day in the 5 year journal, this beautiful keepsake makes sure those precious memories will last a lifetime. Whether you’re a mom with only five seconds to spare—or a mom with an attention span of five seconds—this journal is for you! Mom’s Five-Second Memory Journal includes playful, breezy, and sometimes eccentric prompts to jot down thoughts on your life as a wife, a professional, and—of course—a mother to those wild and crazy kids! The journal is portable enough to carry in your bag, yet substantial enough to become a keepsake. And best of all, since the journal isn’t chronological, you won’t feel guilty if you don’t fill it out for a week (or a month or three)! Cherish those first baby moments by capturing a photo, ultrasound, or babyprints using this unique picture frame. BEAUTIFUL GIFT BOX INCLUDED. Moms, Dads, and Grandparents will be delighted to receive and show this keepsake gift. The stylish frame fits all types of decor and would look great in a nursery, family room, living room, gathering room or bedroom. Your frame is versatile as you may hang it on a wall or display it on furniture, or a bookshelf. This classic white wooden frame has spaces for your baby’s handprint, footprint, and adorable photo. It’s simply the easiest way to capture your baby’s prints. Just press your baby’s hand or foot onto the included “clean-touch” ink pad to reveal a detailed print. The baby’s foot never touches the ink, so it’s completely mess-free. Includes beveled mat stamped in silver with “my little prints”. This keepsake frame is the perfect gift. Capture memories of your infant’s adorable hands & feet with our Baby Handprint Casting Kit. This deluxe kit includes safe WHITE & BLUE or PINK clay for 2 ornaments, a molding ring, wood roller, stencil set, acrylic paint set, hole punch for hanging, 2 easel stands, 4 colored ribbons, and step-by-step instructions & diagrams. Pearhead’s babyprints ornament is the perfect holiday ornament for your tree this Christmas season! It includes everything you need to make your baby’s adorable little print including; 100% baby safe impression material, shaping ring, festive red ribbon, and a pin to create the ornament hanging hole. Previous post: Stila Cosmetics: Get a $40 GIFT with a $50 purchase and FREE shipping!